To all subscribers who requested a copy of Shade Shifter Version 2, it has been sent to your mailbox. BTW, thanks to Clement Wu who helped beta testing this new version. Have fun! 3. All buttons could be renamed by users. However, I am not going to send this update out to all subscribers as I did for the first version because obviously not all simmers have Shade for FSX. So any subscriber who has Shade for FSX and would like to get a copy of this update, please jot a note in the Comments section below. Download link will be emailed later once the testing of the new version is completed. Again, only subscriber requests will be entertained. 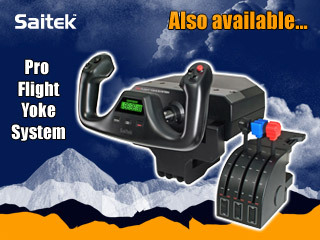 During the installation of Saitek’s Flight Instrument Panels (FIPs), a few images of the company’s other products will also be copied to the device’s driver directory. These product shots, since they are useless, can be removed or replaced easily (see my Post 28: Flight Instrument Panel Tweak – Part 1). However, by doing so, the FIP will show the serial number screen all the time when FSX is not engaged. 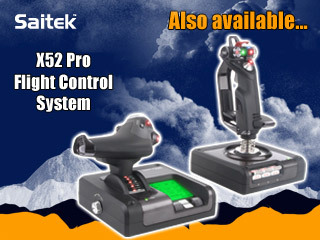 Saitek’s official states in the company’s product forum that because the intensity of the LCD is so mild that the screen of FIP won’t get hurt even it is left on for a long period of time. My ShadeShifter is an additional utility written for the pay utility “Shade for FSX“, which allows the changing of atmospheric effect in FSX. Many information about it could be found from the sub-category of Tools in my blog or on the internet. “Shade for FSX” comes with a number of presets, and each of them brings a different effect. However, switching from one preset to another through the interface of the program itself is a bit clumsy. 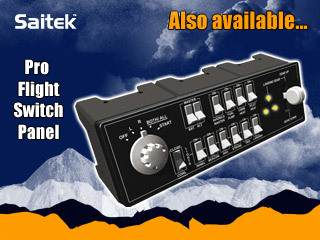 Therefore, I wrote this ShadeShifter to make the switching more easily and user-friendly. I can make up somethings to render similar shade effects without the program itself, but that’s not fair to the developer. So, if any of you don’t have “Shade for FSX”, I am sorry that my ShadeShifter is of no use to you. That’s why I just sent out a link instead of the ShadeShifter itself in order to give you a choice to decide if you really need it. To me, “Shade for FSX” is a necessity for my FSX setup. But note that I am in no way associated to the developer of “Shade for FSX”. I just found the program a good one and there are many “conveniences” I can do about it to serve my own needs. And this ShadeShifter is my newest addition if you read my previous posts about Shade. Download link for this ShadeShifter has just been sent out to all subscribers. If you are a subscriber but didn’t get my email, plesae let me know. Hope you all like it. Haven’t written any post these days since I am still deeply submerged in holiday mood as Chinese New Year is coming the next Monday. Even my FlyZone Switcher project which is waiting for refinements and there are zones to complete, I put them aside as well. Anyway, I have just created another utility for the SHADE for FSX — seems like I should claim for some commissions from the developer for all the assisting utilities I have developed……just kidding. Back to the utility. I call it the Shade Shifter — the name is inspired by the shape-shifter, a goblin in the TV drama series, Supernatural. I found the name quite amusing. From Post 124: Break the 10 Day Shade Cycle Limit, I wrote a utility to call up a Shade Preset according to 1) the day within the Shade cycle and 2) the actually date within a calendar month, so as to allocate a different Shade for each day in any month, and in particular, to create a randomized effect. San Juan Island’s Friday Harbor (KFHR) and its surrounding areas have always been my favorite locations to fly in since I started playing FSX. Therefore, when I found the Friday Harbor Photoreal by George Keogh just published at AVSIM, I feel particularly excited even though the scenery doesn’t quite fit into my current setup. For anyone who has an affection to Friday Harbor like I do, here’s the link: KFHR Friday Harbor Photoreal. 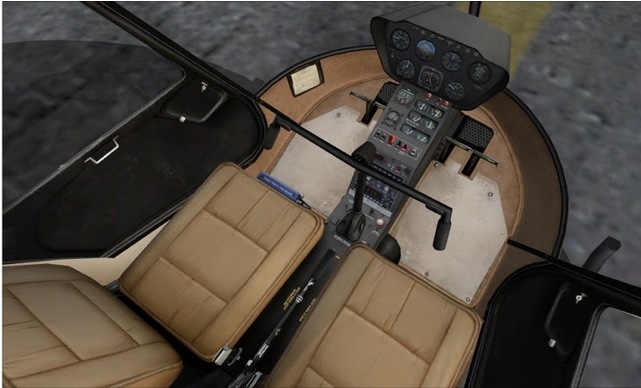 Also, a friend, Roma No in France, is developing enhanced textures and 3D cockpits for Robinson R22. They look pretty good to me. Worth a visit to his Project R22 even you are not a helicopter fan. In addition, AMD yesterday released its HD7970. Virtually all reviews from techy websites gave it a very high score. It’s now certainly a real temptation to me. News is a new category in my blog, which I will list some interesting developments within the FSX circle. Restructuring all fsx.CFG, scenery.CFG, DLL.XML, and other related files. Followings are the activity summaries of this blog in 2011 if you are interested. 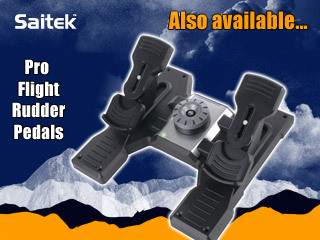 It is for sure that TrackIR enhances flightsim reality. However, it also easily causes eye fatigue and dizziness when it is not proper set. When in FSX, the focus of my eyes mostly falls within the range roughly spreading across the mid-points between the center and the edges of the monitor on both sides. It is about 20 degrees (A) on each side from the center or 40 degrees (A+A) in total around the center (See the image on the right).